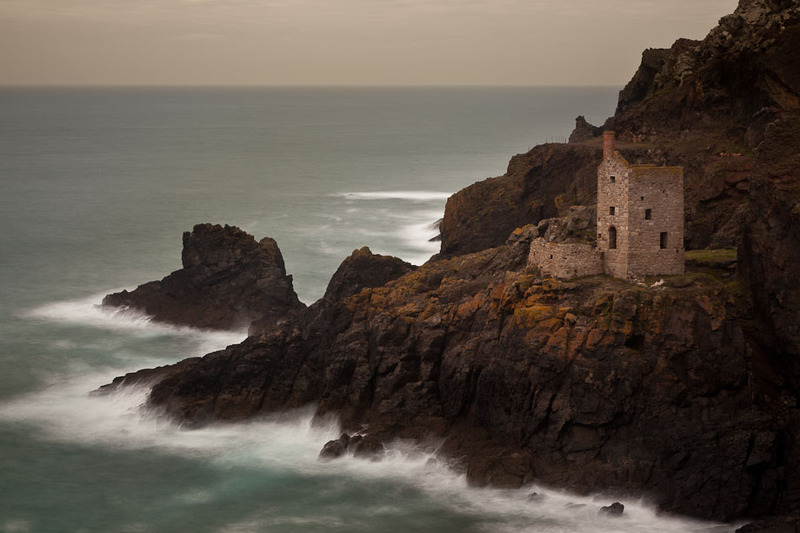 The Botallack Mine or Crowns mine is a former tin mine in Botallack situated between St Just and the village of Pendeen. 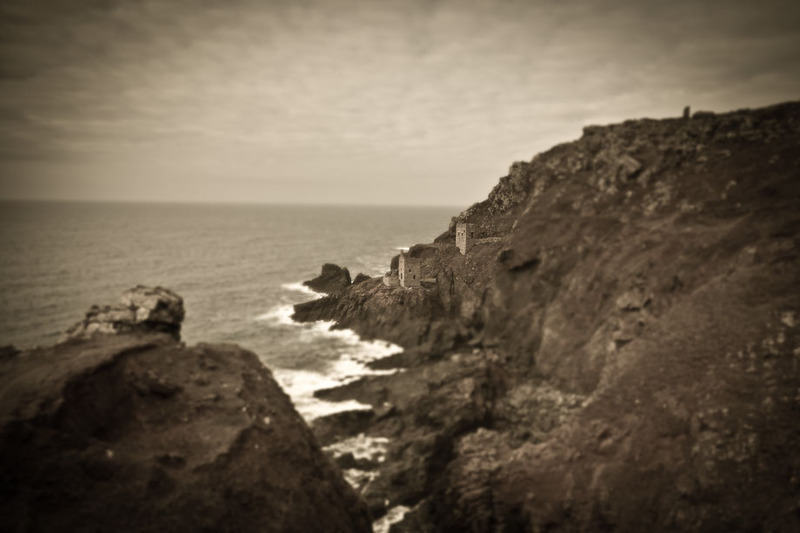 The mine must be the most picturesque mine situated low down the cliffs north of Botallack. There are two engine houses and the mine extends for about 400 meters out under the Atlantic ocean. The mine ruins are protected by the National Trust. Both images were captured with the Canon 5D Mark II and the 24-105mm f/4 zoom lens. The first image have been edited using Adobe Photoshop to add a “miniature” effect. I further edited the image In Adobe Lightroom to look like a desaturated old photograph. The second image is a more natural images of the mine. With a strong westerly wind it was quite difficult to use long shutter speed (30s) but between a lot of blurry images I made a few excellent sharp images with a bit of luck and trying to hide from the wind. Next time I will arrive with spikes on my tripod so it can be properly grounded!